There is no greater need in our communities than to ensure that our public school children have a safe environment to learn and grow in. 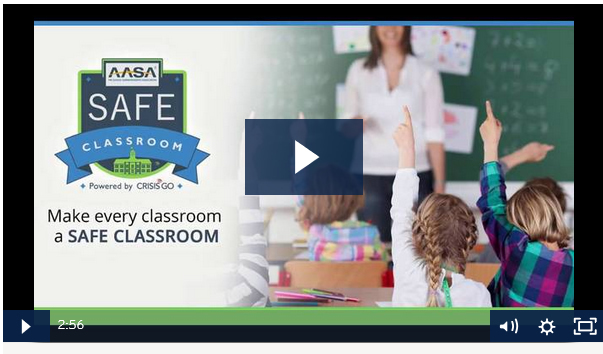 AASA in partnership with CrisisGo and several other national organizations have released School Safety & Crisis Planning, an online set of resources to assist school district leaders before, during and after a crisis. All children have the right to learn and grow in a safe environment. 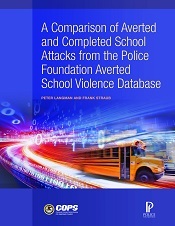 With growing attention to the impact of acts of violence and other crisis events on our school districts and communities, AASA, The School Superintendents Association, has stepped up its efforts to support superintendents and other administrators whose school systems are affected by these disruptive and potentially traumatic incidents. AASA is pleased to present School Safety and Crisis Planning, a toolkit comprised of a set of online resources to assist school districts before, during and after a crisis. Designed by AASA, this package features a myriad of resources as well as a select group of safety leaders throughout the U.S. who are ready to provide peer-to-peer guidance about a variety of crises, including shootings, hurricanes, tornadoes, floods, fires, suicides and other major disruptions that come without notice. We would like to thank the following organizations that contributed to this project: the American School Counselor Association, the National Association of School Psychologists, the National School Boards Association, the National School Public Relations Association, CrisisGo and CitizenAID, AASA School Solutions partners. When a violent incident happens on school grounds there is an inevitable and unavoidable delay before EMS personnel are able to provide professional medical care. It is during these critical early minutes the ONLY resource available are the teachers and students. By educating, empowering and equipping those individuals, they can make a very real difference, and save lives. 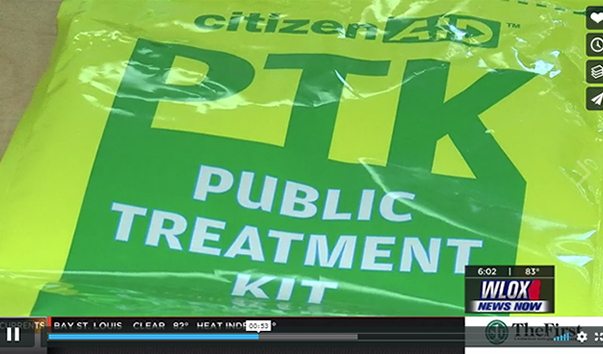 We are proud to offer citizenAID as part of AASA’s School Safety and Crisis Planning Toolkit. The horrific school shootings we continue to hear about have created a turning point toward the issue of school safety. All children have the right to live and learn in a safe environment. As the nation’s largest organization representing the leaders of our public schools, we felt it was our responsibility to create a digital safety solution package, specifically tailored for AASA members as well as non-member superintendents in their plight against the gun violence that continues to threaten our schools and students. In any crisis situation, speed and accuracy are critical so all staff are on the same page. Unfortunately, it rarely happens. But new tech systems like CrisisGo, now gives us the capacity to get it right and to get it done as we begin moving forward from a harmful crisis. Schools should be sanctuaries for learning and teaching. Students, teachers and administrators should not fear for their safety in a setting designed exclusively for their benefit and well-being. School board members are dedicated to enhancing safety. They have worked tirelessly for years to enhance security, and they will remain vigilant about protecting students, teachers and administrators. School districts must be prepared in order to ensure on-going school safety and respond appropriately when a crisis does occur. Key elements include balancing physical and psychological safety, establishing an appropriately trained school crisis team, addressing the mental health needs of students and staff, and having access to succinct, evidence-based information. School district leaders will find AASA’s toolkit a valuable resource in helping to guide these efforts. 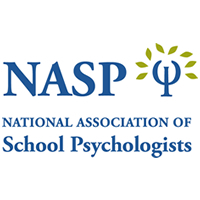 School psychologists are critical members of school safety and crisis teams, and NASP is pleased to contribute some of our expert resources to the School Safety and Crisis Planning toolkit to support effective prevention, response, and recovery. 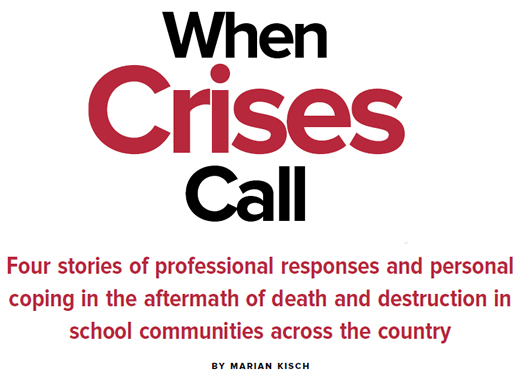 In school crisis situations, it’s imperative that resources are readily available to help school staff, educators and administrators make important decisions. 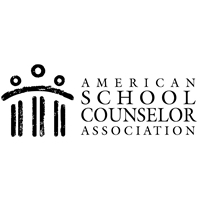 ASCA is dedicated to working with partner organizations to provide information and tools to help these leaders make sound decisions related to the care of their school communities. The intent and design of this toolkit is to provide a checklist of necessary procedures before, during and after a crisis that is easily accessible by school leaders and designed specifically for school superintendents. School superintendents are encouraged to share their findings with key stakeholders in their districts. In addition, school superintendents are further encouraged to share their opinions on this toolkit with the AASA Executive Leadership Team as this toolkit will always be presented as a work in progress. 1. Have I cultivated a strong relationship built on mutual respect with the local safety officials (police chief) and do we meet regularly to discuss safety? 2. Do I have in place a detailed safety and security plan that is easily understood by all stakeholders? 3. Do I have in place an identified staff member or a technology platform which will broadcast all needed information to the school community and the community-at-large pertaining to a crisis? 4. Do I attend district safety committee meetings to show my unyielding support for the work? 5. Am I comfortable with the safety and security plan if my district was in a crisis? 6. Can I assure the local school board that every staff member (including new staff) understands our safety plan before they are with children? 7. If I was out-of-district during a school emergency have I mentored or met with the key staff member who would represent my work in the midst of a tragedy? 8. As needed, do I meet with my school board (minimum three times per year) in executive session to address school safety and security? 9. Have I examined existing resources to reallocate assignments to meet the needs of today’s safety and security most complex issues? 10. Do I meet with district mental health providers to collaborate and to have strategies in place for our most complex students who bring with them safety concerns to the district? 1. Proximity – Where is the best place for me to be to lead? 2. Messaging – Can I use my already prepared messages from our district’s messaging bank to be proactive with communication? 3. Empowerment – Have I scanned the crisis for gaps in our plan, and if need be, fill those gaps with staff members embedded within my trust circle? 4. Composure – Do I have the ability to remain composed or do I delegate the point person to a designee? 5. Duration – Am I able to stay at point for the duration of the crisis, and if not, how do I need to prepare and transition information to my designee? 6. 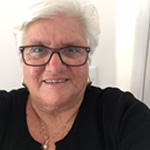 Reunification – Do all stakeholders have the same understanding for the parent reconnect? If I am not at the site have I designated a point person? 7. Student and Staff Most Impacted by the Tragedy – Are my messages a balance of compassion and filled only with accurate information? 8. 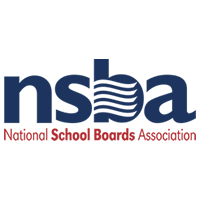 School Board – Have I or my designee sent a message to the school board chair that there is a highly complex situation evolving in the district and information will be forthcoming as soon as the issue settles? 9. Incident Command Center – Do I have all that I need from the ICC, and if not, how do I ascertain the information as quickly as possible? 10. Personal – Have I kept my immediate family informed of the crisis and have I been able to honestly assure them of my own personal safety? 1. Self-Regulating – If you are taking care of all who is taking care of you? 2. Press Conference and Communication – Who should attend, and should there be a joint message from police and school? 3. 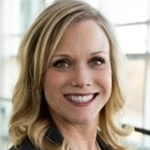 Families of Loss (If applicable) – Have I designated a point person to serve as a direct connect to the most impacted families and my office? 4. Return to School – Have I consulted union presidents before finalizing my return-to-school broadcast? 5. Debrief – Have I sat with all who were in the front line of the tragedy to better understand the “why” and to fully understand lessons learned? 6. Support – Am I able to be present on site (out of my office) to appropriately support staff? 7. Tragedy Roll-out – How do I (or do I) take full ownership to the issue? 8. Human Resources – Have I met with the Human Resource department to fully understand the appropriate message to all impacted staff pertaining to need and return-to-work? 9. Daily District Ritual – As the superintendent I am spending nearly every minute of the work day navigating the tragedy; therefore, have I appropriately assigned and empowered a school leader to run the teaching and learning aspects of the school day? 10. Sustainability and Recovery – Have I begun to think about who needs to be around the table when we address the inherent recovery and rebuild of the district? Our professional opinion is that, no matter how robust this toolkit is, it is in no way a substitute for well-trained school safety and crisis teams with plans that are regularly reviewed and practiced. Through the citizenAIDs Prepared School Initiative and in partnership with AASA’s School Safety & Crisis Planning Toolkit, Ocean Springs School District in Ocean Springs, Miss., Commits to Safety by signing up for emergency medical training for more than 800 faculty and staff members being trained across all seven schools. “A small price for what it yields in terms of keeping our children safe.” said OCCD Superintendent Bonita Coleman. Watch the video, courtesy of WLOX-TV. School leaders can have an immediate direct connect to their safety concerns by dialing 571-480-0313. 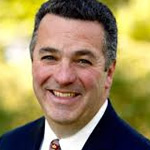 Joseph Erardi, a former member of the AASA Executive Committee and recently retired superintendent from Newtown, Conn., will navigate your needs to an appropriate colleague who has experienced your safety concern. 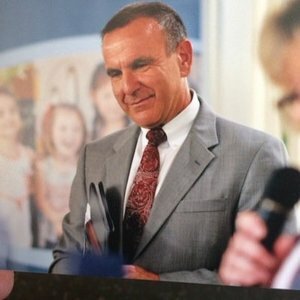 Erardi retired from the Newtown Public School District in August 2017, bringing to close a 40-year career of public service to children. 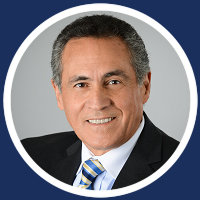 He served as a Connecticut superintendent for the past 18 years and has been a former member of the AASA Governing Board and Executive Committee for the past 10 years. Following his retirement from the superintendency, Erardi has been privileged to work with AASA in developing a hands-on safety toolkit designed for school superintendents. 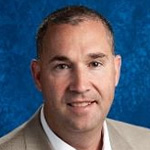 Principal, Salem High School; Salem, Ind. In 2012, multiple tornadoes, including an EF4 tornado, ravaged Kentucky and southern Indiana, causing an estimated $3 billion in damage and killing 41 people. Henryville suffered a direct hit, destroying buildings throughout the town, including Henryville Elementary- Junior/Senior High School. Following the tornadoes, Albert worked with the community to shift students to temporary classrooms in Scottsburg as the school was rebuilt, opening five months after the tornado and in time for the start of the next school year. 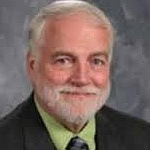 Superintendent, Cassville R-IV School District; Cassville, Mo. In late December 2015, Cassville, known as the “City of Seven Valleys,” experienced a variety of flood events and impacts. The District pursued FEMA Disaster Declaration funding but was denied during the initial review due to a variety of reasons. After two complete years and a 14-month appeal process, the Cassville School District was able to secure funding from FEMA for qualifying mitigation. Superintendent, Anderson School District 4; Pendleton, S.C. In 2016, Townville Elementary School was the victim of a fatal school shooting. 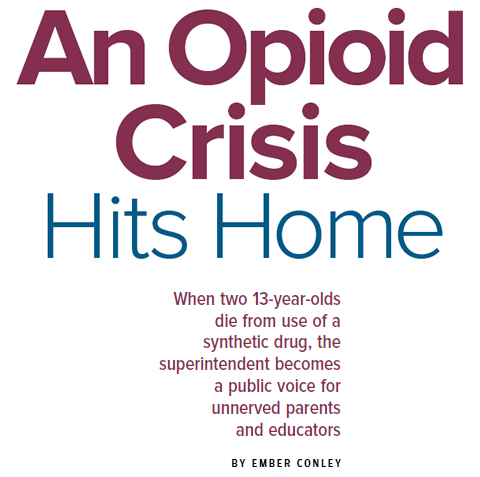 As a second-year superintendent, Avery had to respond to the magnitude of challenges from immediate response to recovery. She is known for her candidness in telling her story, which really drives home the message of preparedness. 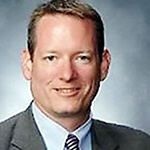 Superintendent, Mid-Del School District; Midwest City, Okla.
Cobb was the assistant superintendent for curriculum and instruction for Moore Public Schools during the 2013 tornado. 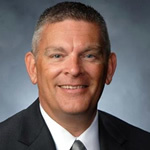 He worked alongside incoming Superintendent Dr. Robert Romines and other district staff to prepare for the 2013-14 school-year and try to provide normalcy and continuity to the extent that it was possible. 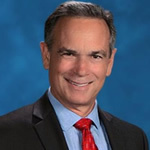 Assistant Superintendent (Retired), East Rockaway School District; East Rockaway, N.Y. When Super Storm Sandy occurred on Long Island the East Rockaway School District reached out to Colvin for assistance in managing the disaster. She has become very knowledgeable in the management of the project worksheets and has worked closely with many of the FEMA staff. 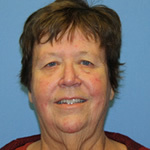 She also assisted the Island Park School District with the recordkeeping of their expenditures during the disaster. Colvin has developed a worksheet for tracking expenditures by specific project. Joan believes the most important skill for dealing with FEMA to recoup maximum funding for a school district is tenacity. Superintendent, Carl Junction Schools; Carl Junction, Mo. In 2003, the Carl Junction community was hit by an F3 tornado. 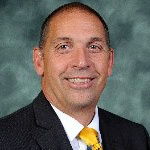 Cook led the rebuilding and recovery efforts for the school district. 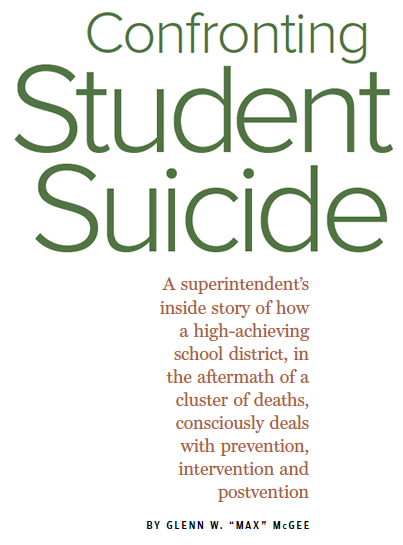 Since his time as superintendent, he has had to address several student deaths, two of which were suicides, and several staff deaths, of which one was a suicide. Carl Junction is a neighbor to Joplin and bore witness to their EF5 tornado disaster from the sidelines. 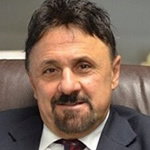 Principal (Retired) Columbine High School; Littleton, Colo.
DeAngelis has been called upon to speak about recovery after a school tragedy at a variety of conferences and has assisted as a consultant after a number of other violent school events. 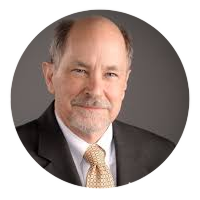 He presently serves as a consultant for safety and emergency management for the Jefferson County School District in Colorado, and continues to deliver speeches in the United States, Canada, and Europe. Superintendent, Neosho School District; Neosho, Mo. In March 2017, the Goodman community was hit by an EF2 tornado that completely destroyed Goodman Elementary School, which is part of the Neosho School System. The tornado hit in the late evening, and it was dark before anyone could reach the school. Upon surveying the aftermath, the community realized two things needed to happen quickly: to make sure all students and their families were safe, and to find a way to house and educate the students. Decker worked with the counselors, teachers, and other members of the Goodman community to restore some order to life. Decker worked with district staff and the community to provide classrooms and an active education after a loss of just two school days. 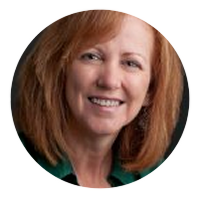 Former Executive Director of Communication and Community Development, Joplin Schools, Joplin, Mo. 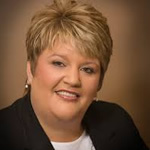 Vann’s wide range of experiences in communications, marketing and community building prepared her to serve on the leadership team for the district of 1,100 employees and 7,700 students through the recovery effort following the devastating 2011 Joplin tornado. The storm destroyed a third of Joplin, Missouri. District losses from the storm included damage and destruction to ten of 19 school buildings, and the loss of one staff member and seven students. District leadership was determined to “start school on time,” and that effort is credited with being a key factor that drew the community together and provided a positive light to rally around in the midst of such tragedy and destruction. On August 17, 2011, Joplin students started the new school year on time. By August 2014, the last of the buildings destroyed by the storm was rebuilt. Superintendent, Broken Arrow Public Schools; Broken Arrow, Okla. In the fall of 2017, Broken Arrow Public Schools experienced two devastating tragedies when a high school marching band member committed suicide by jumping from the top of the football stadium after a football game. The next morning, a beloved middle school teacher was shot to death in his home in an attempted robbery in front of his wife and children. Less than three months later, tragedy struck again when a second high school band member and a youth cheer coach died in a head- on collision near the ninth grade center. 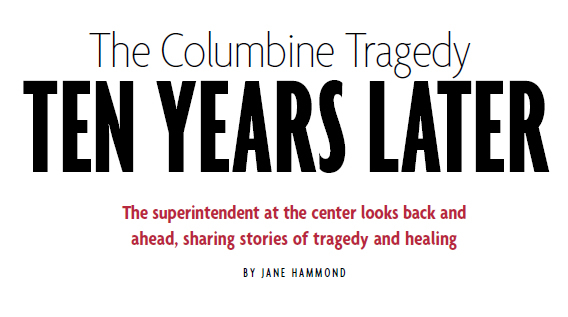 The impact of these tragedies on the students, staff, and community was devastating, and the responsibility for support and healing fell upon school leadership and Dunlop, a first-year superintendent. Interim Assistant Director of Special Services; Joplin School District; Joplin, Mo. 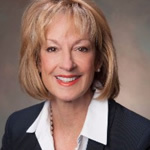 During her time in Missouri, Earl experienced several tornadoes, including the EF5 tornado that struck Joplin in May 2011, killing 158 people, and causing $2.8 billion in damages. 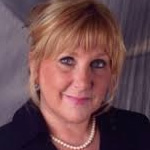 She coordinated mental health support efforts for Joplin students impacted by the tornado. More recently, she has had to address student mental health. Four students committed suicide in Joplin and Carthage, Mo. between August 2017 and January 2018. She is working with Joplin’s Department of Student Services to provide support for students affected by the trauma. She helped hire full-time guidance counselors, establish a student mentoring program, and is working to implement Transitions, a mandatory course designed to build relationships between teachers and students, including how to identify signs of mental distress, either in themselves or others, and what to do about it. 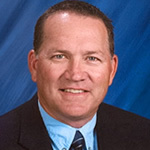 Superintendent (Retired), Kiowa County Unified School District; Greensburg, Kan.
Headrick, now retired, served as the superintendent of schools in Greensburg, Kansas, when a 1.2- mile-wide EF-5 tornado struck the town in May 2007. The tornado destroyed 96 percent of residential housing and businesses and took out 100 percent of the city’s infrastructure, including all school facilities. Headrick was actively involved in the rebuild of not only the school, but the entire community. Today, Greensburg is a totally reimagined “green” community. The total expenditure for the rebuilding process was more than $50 million. Headrick says the most impressive accomplishment was getting all of this done with zero dollars of indebtedness to the taxpayers in his district. Assistant Superintendent of Curriculum and Instruction, West Clark Community Schools; Sellerburg, Ind. In March 2012, an EF4 tornado struck Henryville, Indiana, destroying several buildings and killing at least 39 people. The Henryville Junior-Senior High School bore a significant amount of damages, including the destruction of the school gym and several hallways and classrooms. With the help of the local community and with nationwide support, Henryville was able to rebuild the school less than six months after the tornado hit. 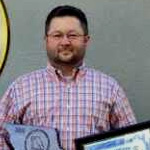 Director of Facilities & Operations, Cassville R-IV School District; Cassville, Mo. Prior to joining the Cassville School District, he spent 20 years with Missouri State Parks. While managing some of the largest state parks in Missouri, Dusty experienced over 30 flood events and several high wind events. He has worked through six federally declared disasters that included FEMA funded repairs and mitigation. In 2015, floods inundated the Cassville Intermediate School and hydraulic pressure caused the concrete floors in the basement to heave up and break. Dusty oversaw the repairs to the building. After two complete years and a 14-month appeal process, the Cassville School District was able to secure funding from FEMA for qualifying mitigation, and repairs were completed in 2017. 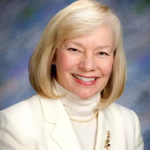 Former Superintendent, East Rockaway School District; East Rockaway, N.Y. He has been tasked to develop new services, programs, and technologies to help meet the needs of partnered school districts. 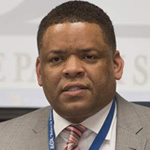 In this position, he plays a key role in capital improvement programs, providing leadership to various programs and acting as liaison to local school district superintendents. 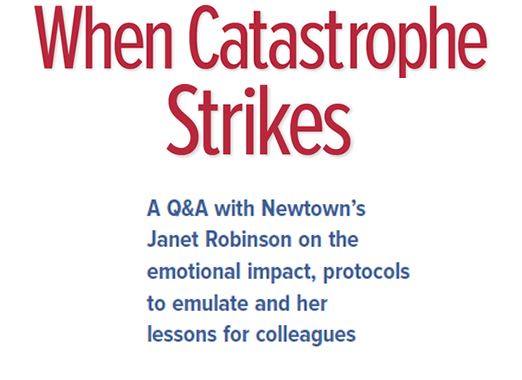 Superintendent, Stratford Public Schools; Stratford, Conn.
Robinson is known for her fearless leadership as the Superintendent of Newtown Public Schools during the shooting at Sandy Hook Elementary School. She has been speaking to schools around the country for more than 20 years; however, her message has changed tremendously. 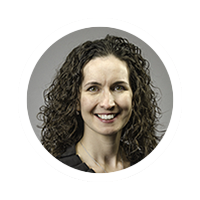 Her passion is to help schools overcome challenges, to focus on the students, and to be prepared for any obstacles that could come in the way of children learning, growing, and become our future. 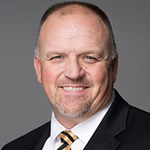 Superintendent, Moore Public Schools; Moore, Okla.
Romines has been praised for his compassionate leadership, community relationships, and strong communications skills in helping lead the district through some of its most difficult challenges. Just one week after assuming the role of superintendent, a massive F5 tornado plowed through Moore, killing seven students, leveling two schools, and damaging buildings throughout the district. 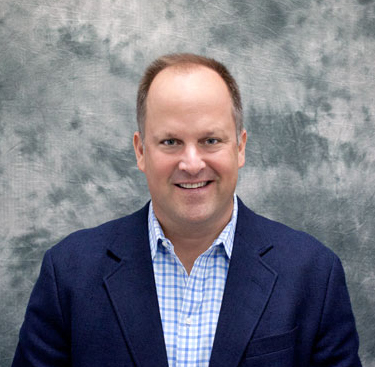 “His ability to shoulder the grief and devastation while leading thousands through a time of uncertainty and then accelerated growth and renewal was nothing short of miraculous,” said Moore Economic Development Director Deidre Ebrey. Superintendent, East Rockaway School District; East Rockaway, N.Y.
Lisa Ruiz assumed her position as Superintendent in the East Rockaway Schools 10 months after Super Storm Sandy hit Long Island and devastated the school district and community. The East Rockaway Junior-Senior High School students had returned to the school in April, after a six-month displacement during the extensive repairs, and much remained to be done. Her main responsibility concerning the recovery has been ensuring the district was made financially whole from the almost $12 million in damage caused by the hurricane and follow up with residual damages undetected and additional complications which arose from the repairs. She worked closely with more than 26 different teams from FEMA to document, submit, and track the expenses relative to the storm. The community also applied for and received over $5 million in mitigation grants to protect and fortify the district’s buildings in the event of another storm. 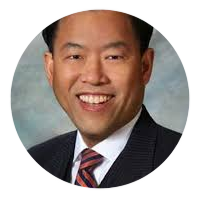 Superintendent, Napa Valley Unified School District; Napa, Calif. The emergency response and support to students, parents and staff requires teamwork, excellent communication, humility, and respectful relationships with multiple agencies. Napa Valley’s emergency team has been recognized for calm leadership, communication and showing compassion for the August 2014 earthquake and the October 2017 wild fires. 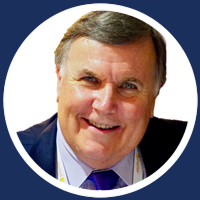 Former Superintendent, East Baton Rouge Parish Schools, Baton Rouge, La. While serving in the East Baton Rouge Parish School System, he managed the implementation and oversight of the district’s facility construction and renovation budget, funded via a voter approved 10-year millage. The most significant project initiated during my tenure was a $64 million STEM focused high school. The design and construction factors included consideration of flooding and the withstanding of a hurricane. 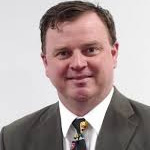 Other weather- related issues specific to hurricanes, tropical storms, and winter freezes were also addressed during his tenure at East Baton Rouge Parish. Taylor is currently working with school safety officials in the Pittsburgh Public Schools and representatives of the Pittsburgh Police Department to devise a safe passage plan for students and staff, given a rash of shootings near the schools that have resulted in numerous lockdowns. As a 23-year veteran Firefighter and EMT Bob Otter has seen first-hand the positive impact that initial care provided by bystanders can have in the critical time before EMS arrives. Recognizing that in a violent incident it may take an extended period of time for EMS professionals to be able to treat the wounded, his passion is to educate and empower school communities to be able to provide simple lifesaving care. 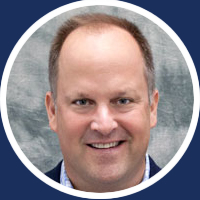 Having now worked alongside numerous Superintendents across the country to train and equip their school districts to prepare for violent incidents, he brings a wealth of knowledge to ensure each building is equipped correctly and staff are properly trained. Working alongside the plans a district already has in place the citizenAID system increases a school’s resilience and preparedness.